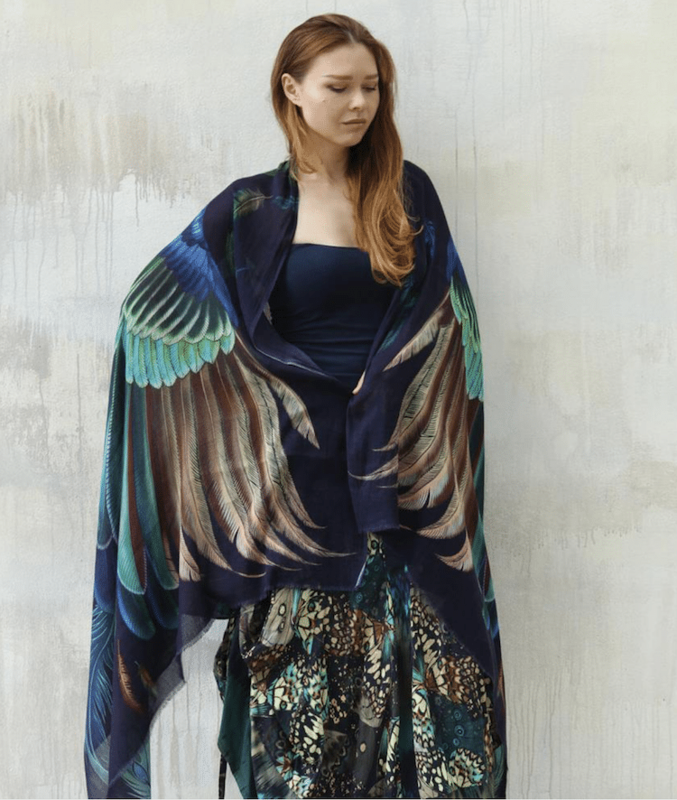 Pairing a passion for accessories with a love of all things avian, Australian fashion label Shovava creates winged works of wearable art. 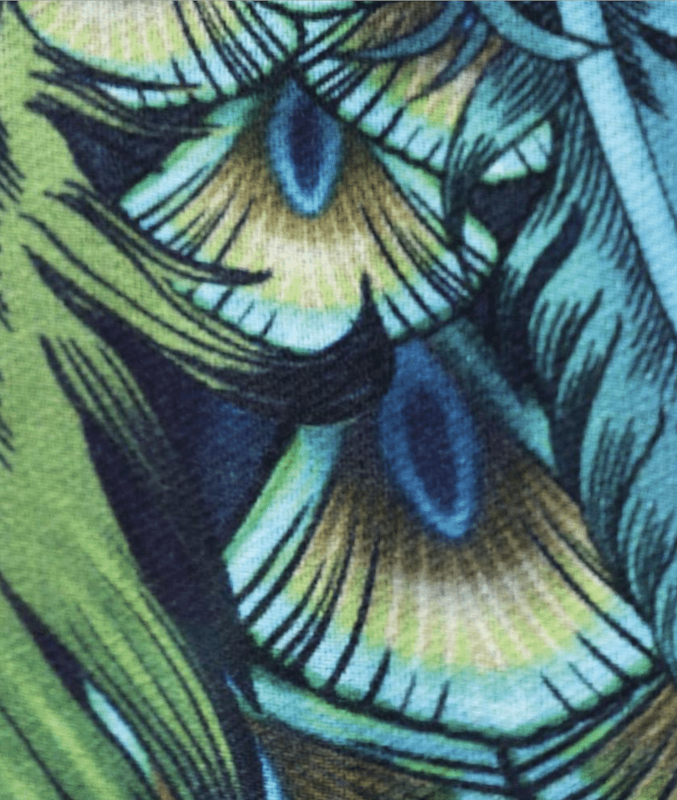 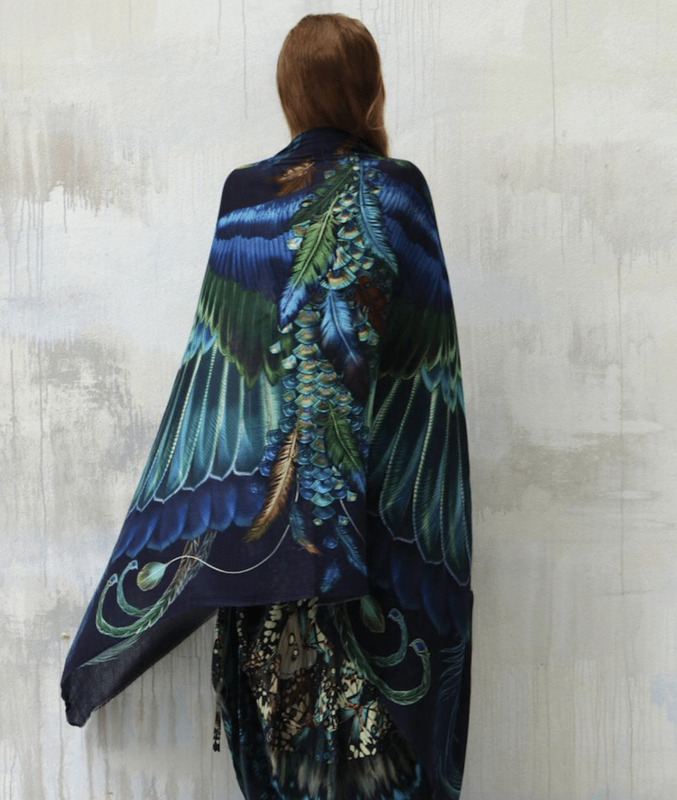 In addition to the studio’s distinctive owl scarves, this dual interest has materialized as an eye-catching collection of beautiful bird shawls. 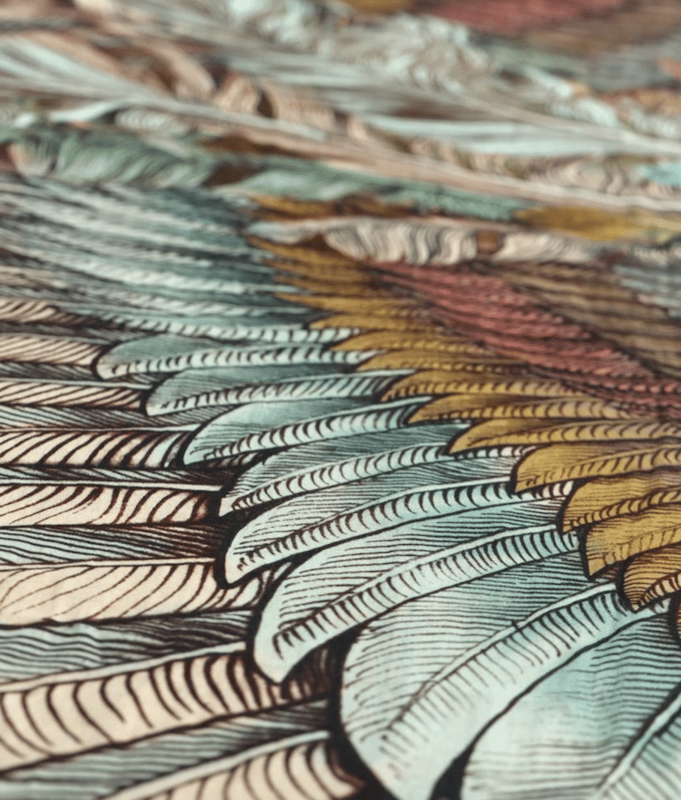 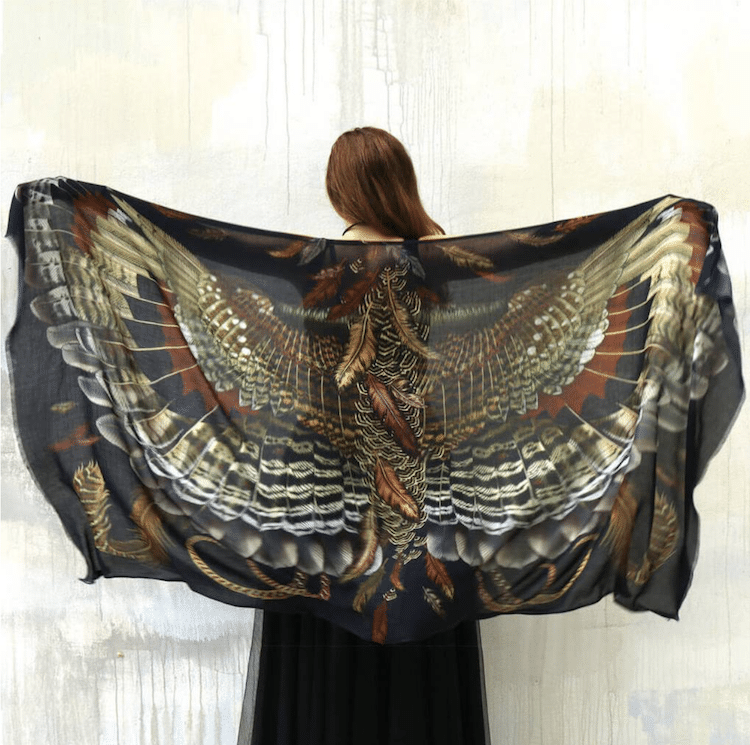 Each Shovava shawl features an intricate illustration of a bird’s outstretched wings. 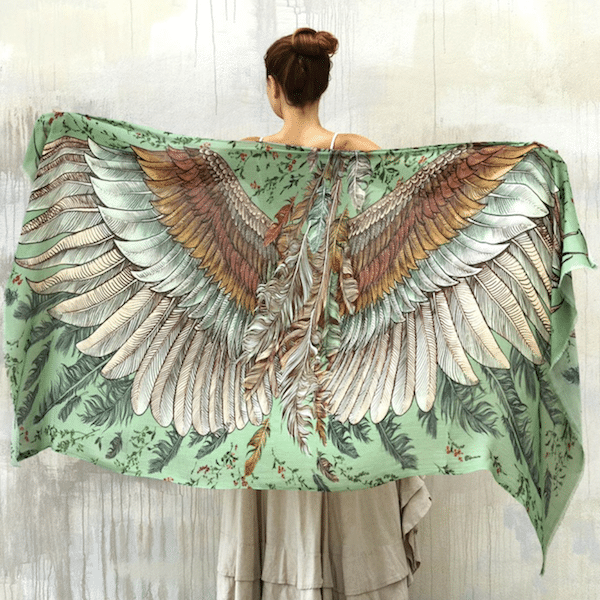 The Vintage Shawl incorporates a rustic and retro color scheme, making it ideal for music festivals and mellow strolls alike. 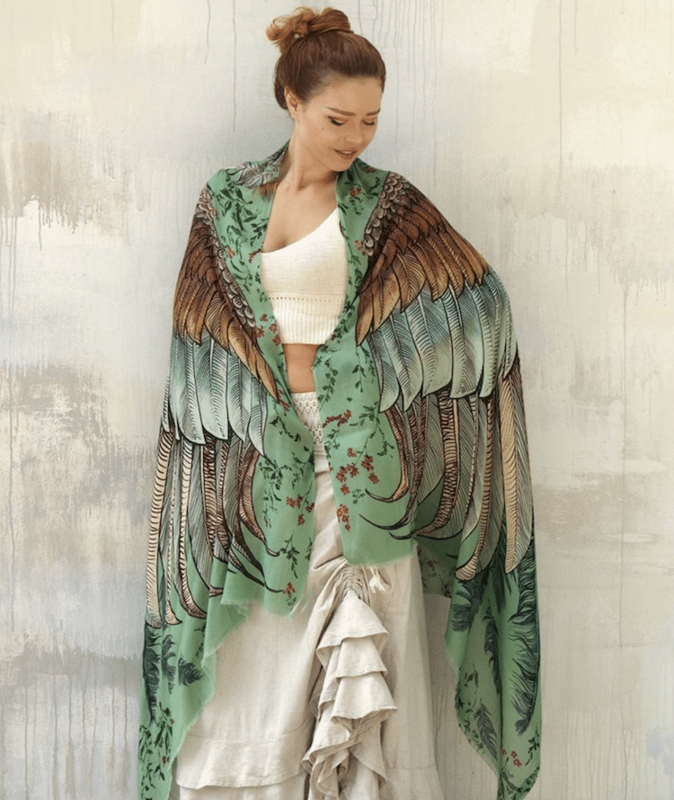 Similarly, the Samsara Shawl showcases an earthy palette perfect for sun-soaked summer outings. 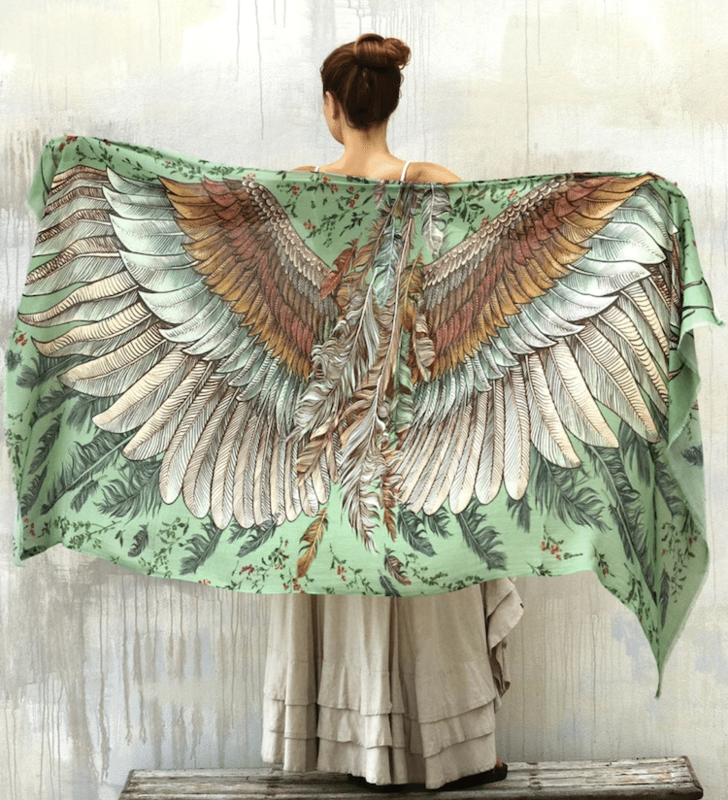 And, finally, for those who want to stand out wherever they go, there’s the Nicola Shawl. 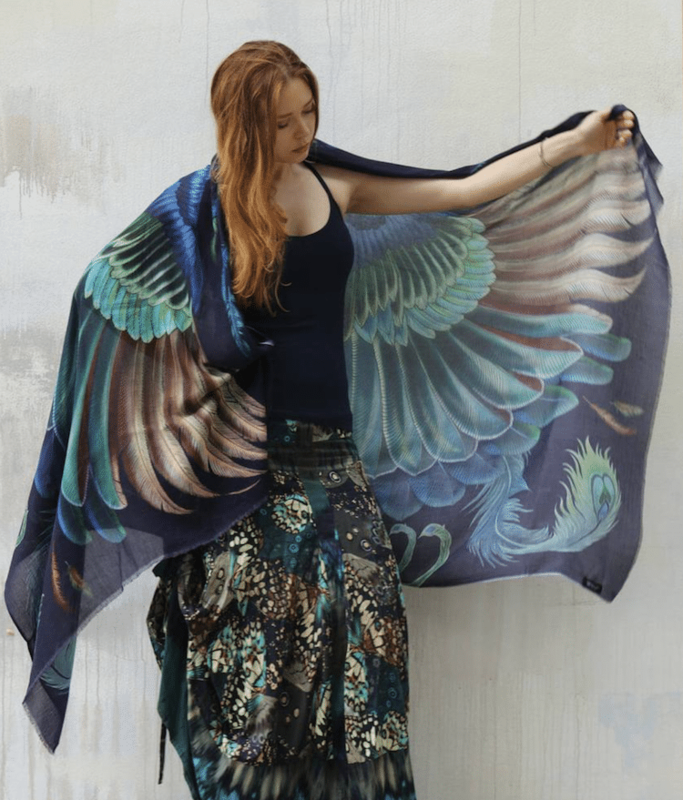 Inspired by a the colorful plumage of a peacock, this wrap will put on a show no matter where you strut your stuff. 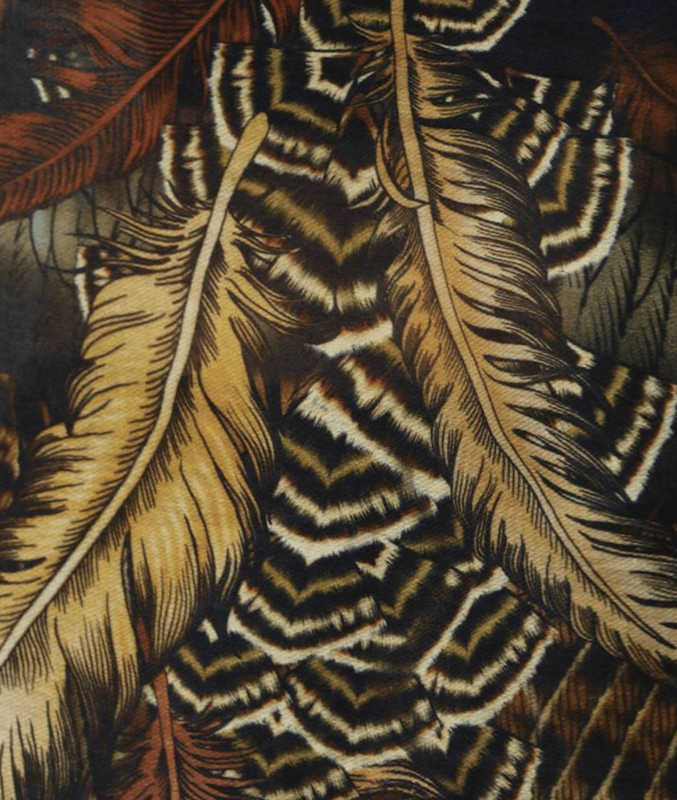 While these shawls may look strikingly similar to Shovava’s scarves, one important aspect sets them apart: their size. 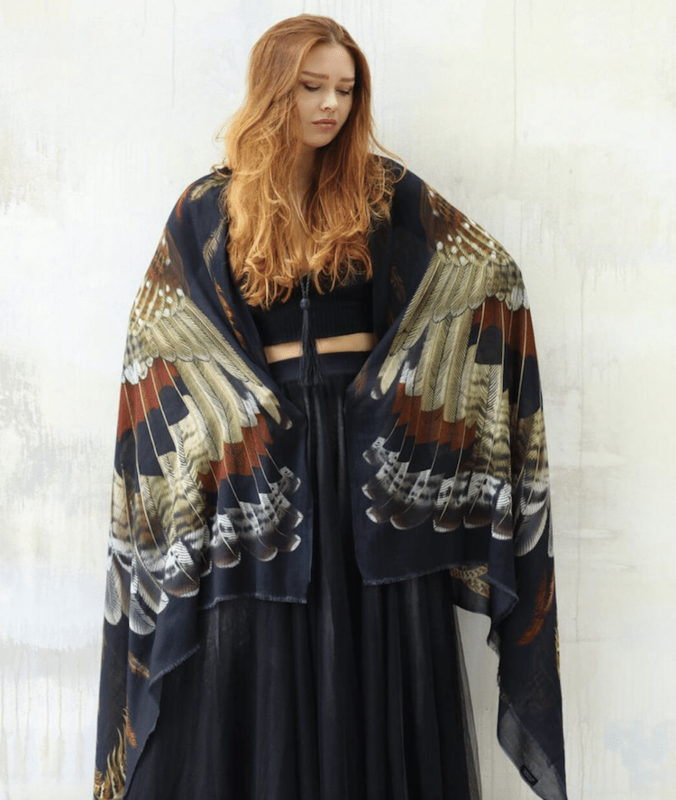 When laid flat, each shawl is a whole foot wider than their scarf counterparts. 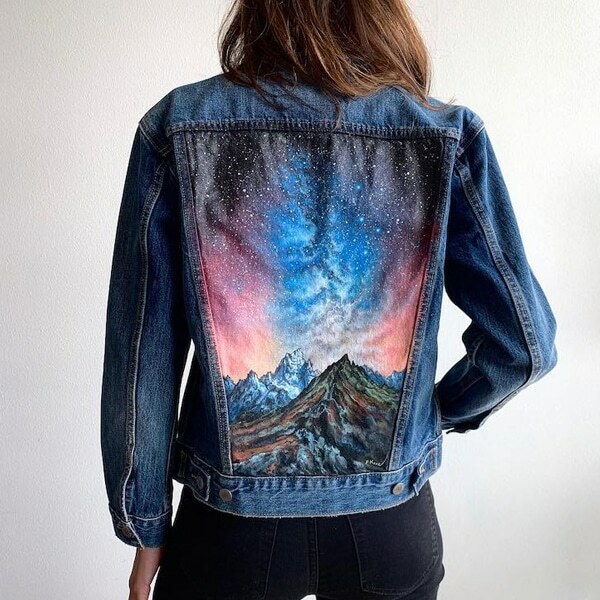 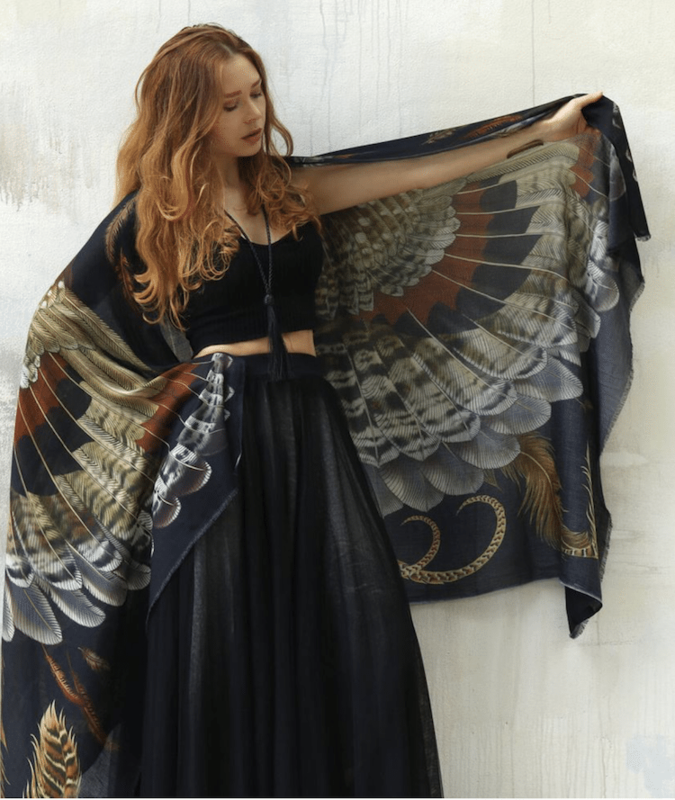 Though it may not seem like these extra inches will make a sky-high difference, you’ll never feel cooped up when cloaked in your super-sized—and super comfy—set of wings. 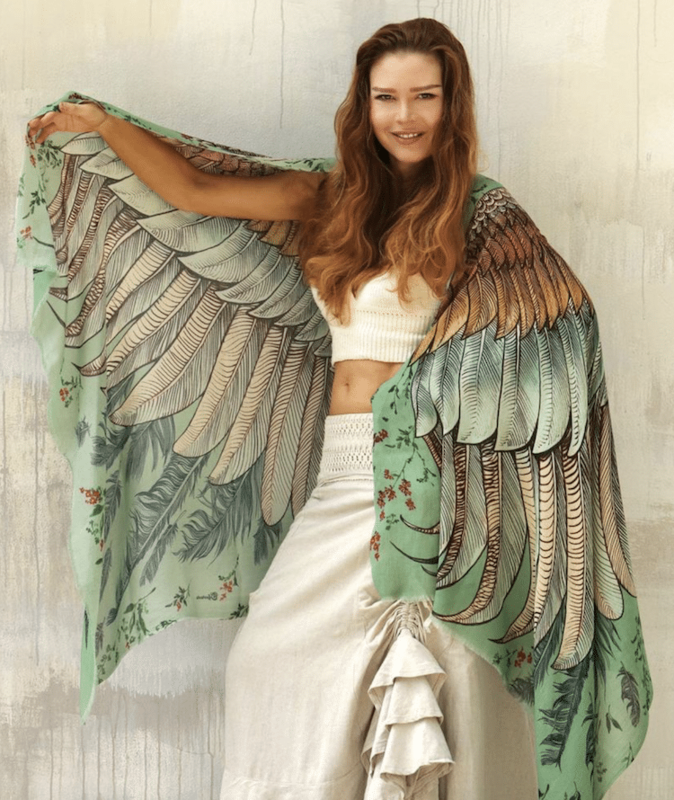 You can find these bird shawls in the My Modern Met Store. 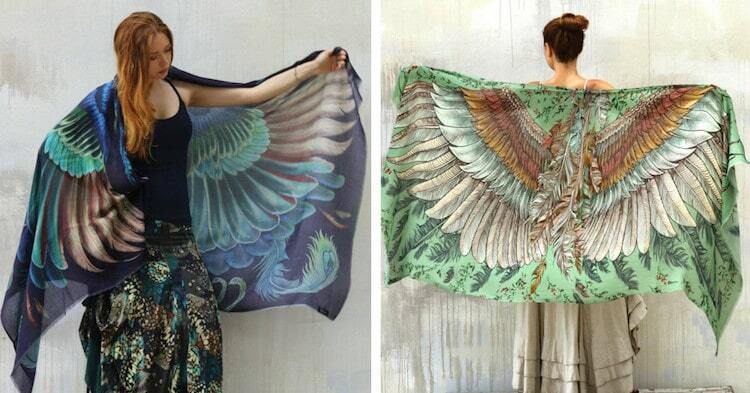 Let your stylish side take flight when you wear these bird shawls by Shovava.